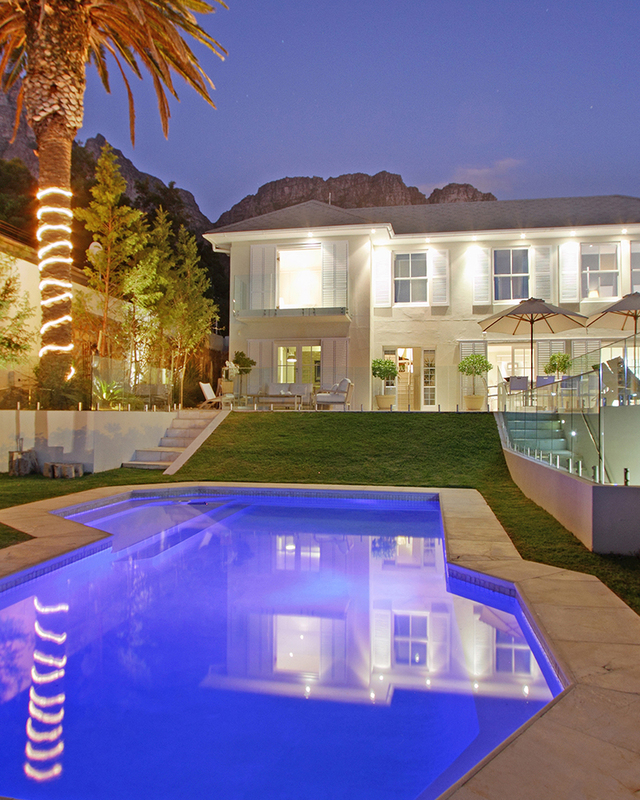 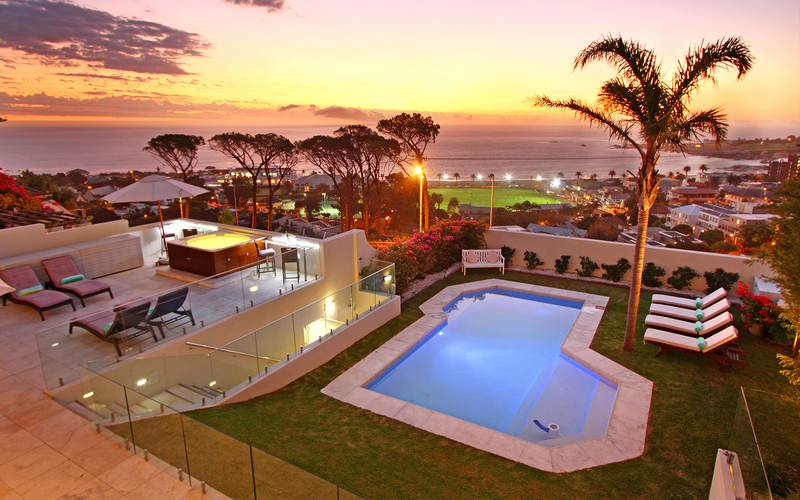 An exclusive Cape Town luxury accommodation overlooking one of Cape Town’s finest beaches. 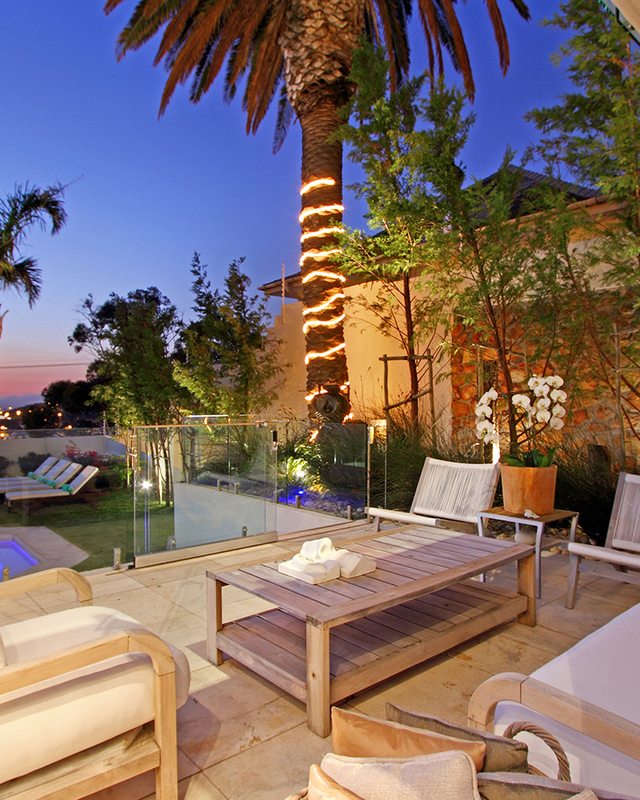 Elegant interior design offering the ultimate in luxury Camps Bay Villas, accommodation for business or pleasure in an upmarket location, with Jacuzzi, heated pool, spa baths & many more. 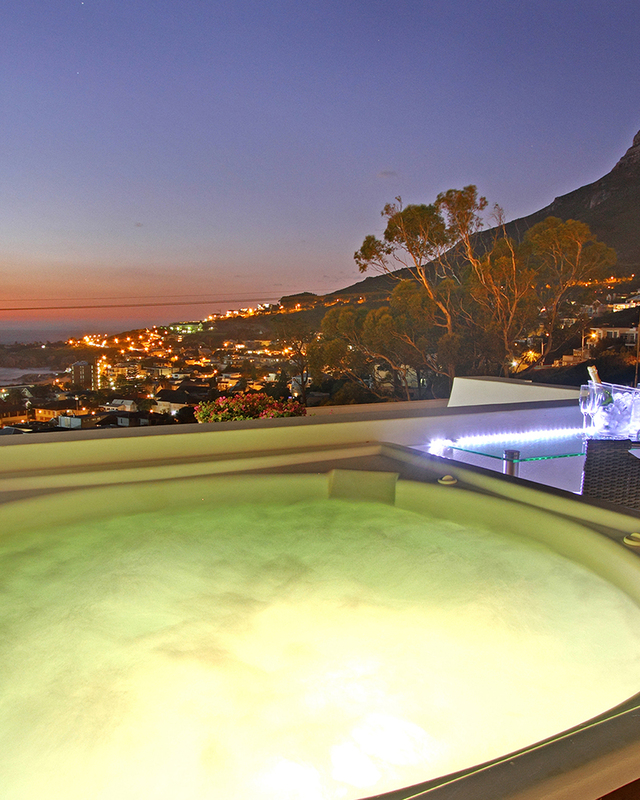 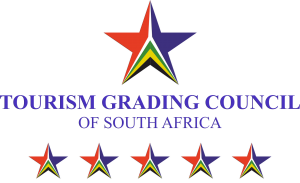 Glorious views of Table Mountain, the Twelve Apostles mountain range and Lion’s Head, and on top of all of this, there are breathtaking ocean panoramas & beautiful sunsets! 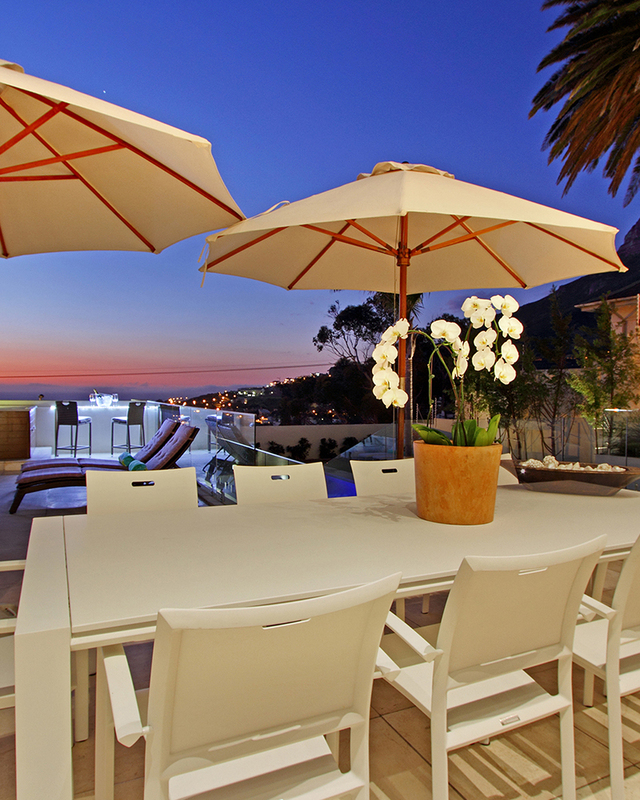 Just a short stroll leads you to the beach and into the heart of vibrant Camps Bay, where you will find grocery stores, beachside cafes, cosmopolitan restaurants and bars. 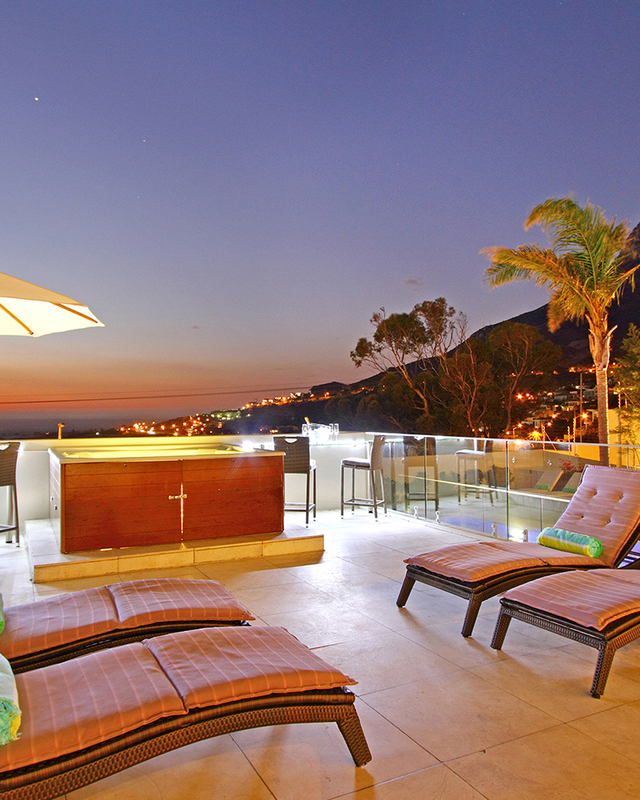 Make the trip, it’s worth it………! 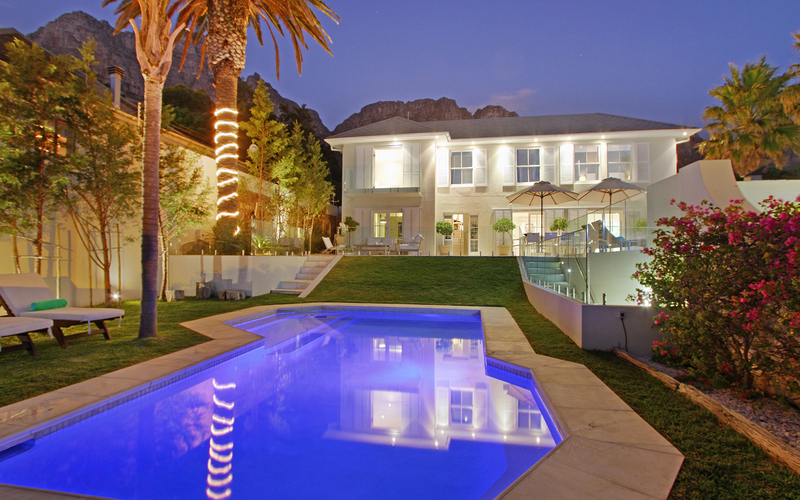 We are WATER WISE and therefore would like to alleviate your concerns with water shortages whilst staying at Villa Galazzio in Camps Bay, even though there are still restrictive steps which guide us issued by Cape Town municipality, we have solutions which have drastically reduced the Municipal water requirements, therefore, relieving our total water consumption.  Various steps taken in order to achieve these water savings are for instance the purchase of an Air to Water drinking machine, it provides for approximately 30 litres of perfect drinking water per day simply from fresh air thus eliminating the need to buy your own water at the stores, we have also adapted our swimming pool, jacuzzi as well as the entire garden with external water sources so that we no longer require municipal water to maintain the Villa’s external consumption. 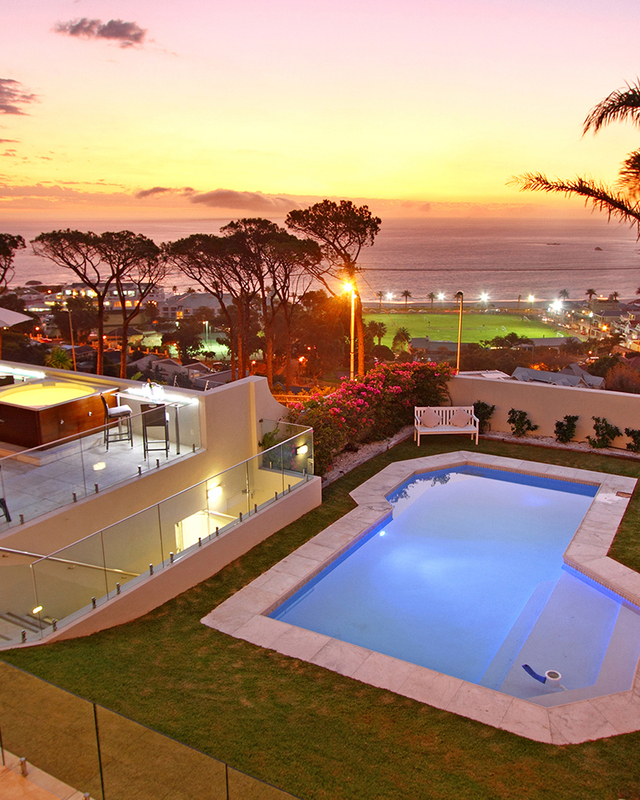 In addition, we have removed the grass surrounding our swimming pool and replaced it with a beautiful astroturf which no longer requires water.  Water is but a small problem now whilst staying at Villa Galazzio allowing you to enjoy beautiful Cape Town, relax in our Villa & enjoy the sun, pool & Jacuzzi.